Cinque Terre means “five lands” and is precisely made up of five small towns that hug the southern part of the Ligurian Coast of Italy. 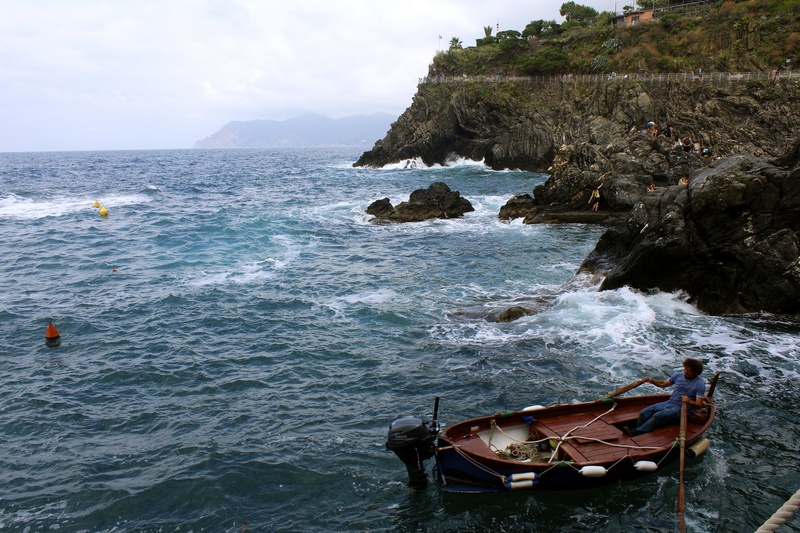 The five towns, Riomaggiore, Manarola, Corniglia, Vernazza, and Monterosso al Mare are absolutely breathtaking. Due to climate conditions, Riomaggiore was inaccessible, so we went directly to Manarola. Cinque Terre holds a transcendent beauty with unique charm around every corner. We hiked from Manarola to Corniglia, then hiked from Corniglia to Vernazza, and finally took a train from Vernazza to Monterosso. 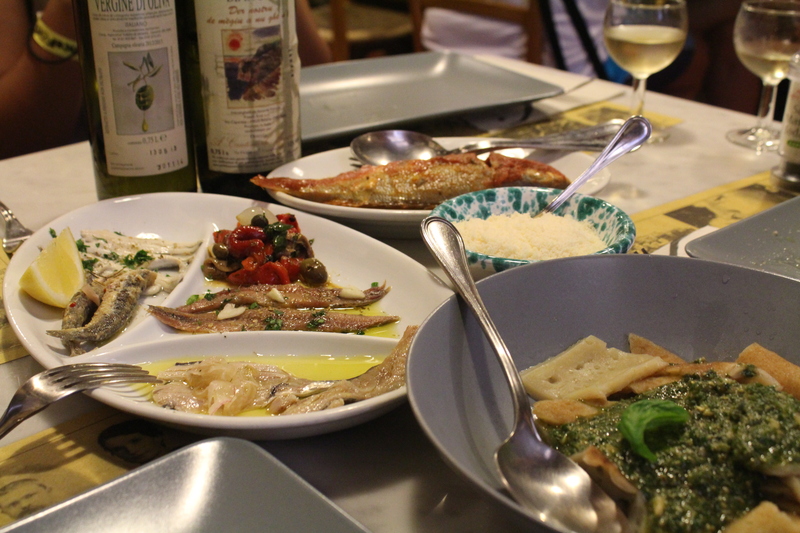 Because of the ample agricultural resources of Cinque Terre, the region is known for it’s unique cuisine. Between each colorful town we stopped at a small restaurant and I (surprisingly) ate the typical seafood dishes served: Anchovies, Octopus, Cuttlefish, etc. 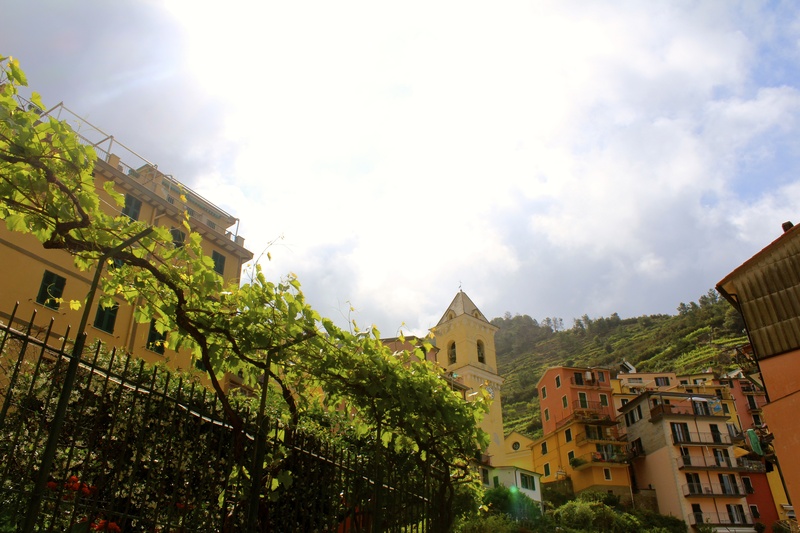 Cinque Terre is also known for it’s delicious pesto sauce and white wine, which was dangerously delicious. No seriously – a bottle of wine and steep cliffs, probably not the best idea, but so worth it. The views from the hikes and the scenery throughout each town were unreal. I loved absolutely every moment spent there, even when we were stuck hanging out in the train station for an hour (since an earthquake delayed our train). The weather was a nice change from the scorching heat in Florence. It was cloudy throughout the morning, a bit hot on the hike, but then back to comfortable coastal temperatures at the beach in Monterosso. I still can’t believe I was lucky enough to see a Unesco World Heritage Site filled with such rich history. I highly recommend at least a day trip for those of you visiting Northern Italy.